In a previous post, we discussed what you shouldn’t do after getting into a car accident in Houston. But what should you do after a crash? It’s a scary time, especially if you get hurt. You’re probably not going to be thinking correctly and all you want to do is wish it didn’t happen. Unfortunately, car accidents do occur and it’s difficult to avoid them. But, if you follow these steps after a car accident, then it will make the whole easier to handle. Step 1 – Remain calm. Think this is an obvious one? You would be surprised how many people get overly upset after an accident. But if keep your head, you’ll get through it just fine. Just take a breath, get control of your emotions and continue to the next step. Step 2 – Call 9-1-1. If you’re severely injured, it may be difficult to call for help. But you will need to call emergency services as quickly as possible. Step 3 – If you’re injured, stay where you are. By moving, you could further injure yourself. So unless you’re in a dire situation, such as the car is on fire, try not to move until emergency personnel gets there. Step 4 – Get as much information you can. Let’s say the injuries are not too severe. If this is the case, then you want to get as much information about the accident as possible. Exchange information with the other driver. Get witness accounts from other passengers or anyone who saw the accident. And, if you can, get photos of the scene and damage to your vehicle. You’re going to need this information for the insurance company. Step 5 – Receive medical attention and record it. Of course, if you’re injured chances are you’re not going to be able to complete step 4. But make sure you get medical treatment as soon as possible. And keep detailed records of all your medical treatments, including the bills. Get photographs of your injuries, it will help later if you need to file a personal injury claim. Step 6 – Contact the insurance company as soon as possible. 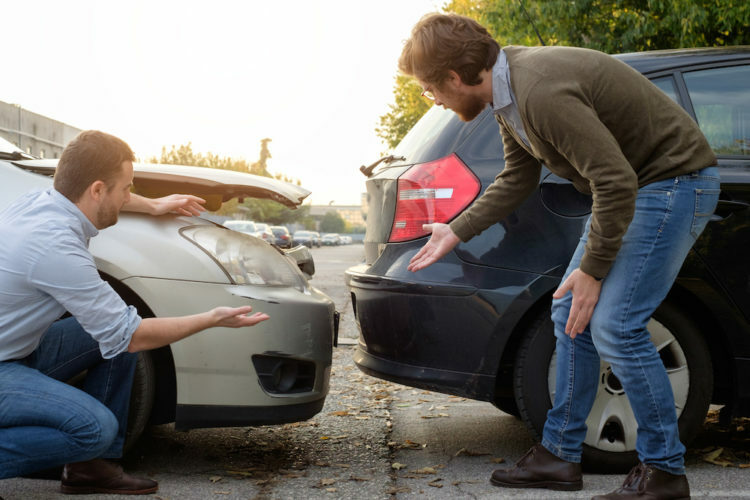 Even if it was a minor fender bender, you still need to contact your insurer to inform them of your accident. Remember, the other party can always decide to file a claim against you. And of course, if you need legal help for your car accident, we’re here for you. Contact a Houston car accident lawyer at de Lachica Law Firm, PLLC, today for a free consultation.